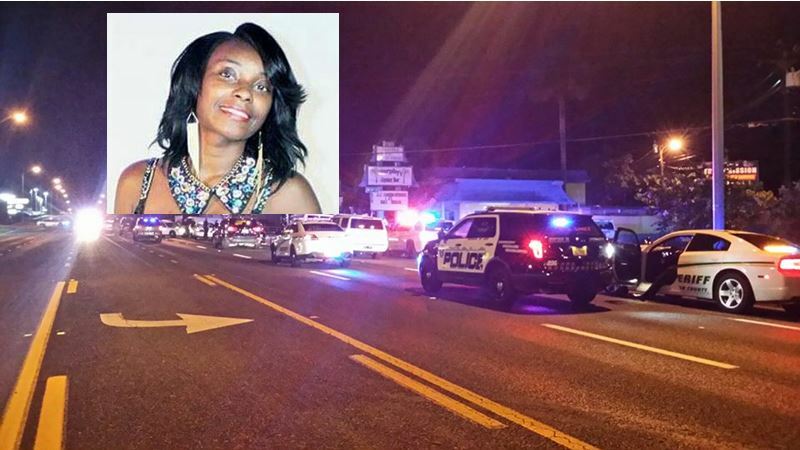 Benetria Robinson, 19, was gunned down at nightclub in Ocala. Ocala, Florida — On Wednesday, the Marion County Sheriff’s Office put the nightclub, Cloud 9, on notice — either clean it up or be shut down. 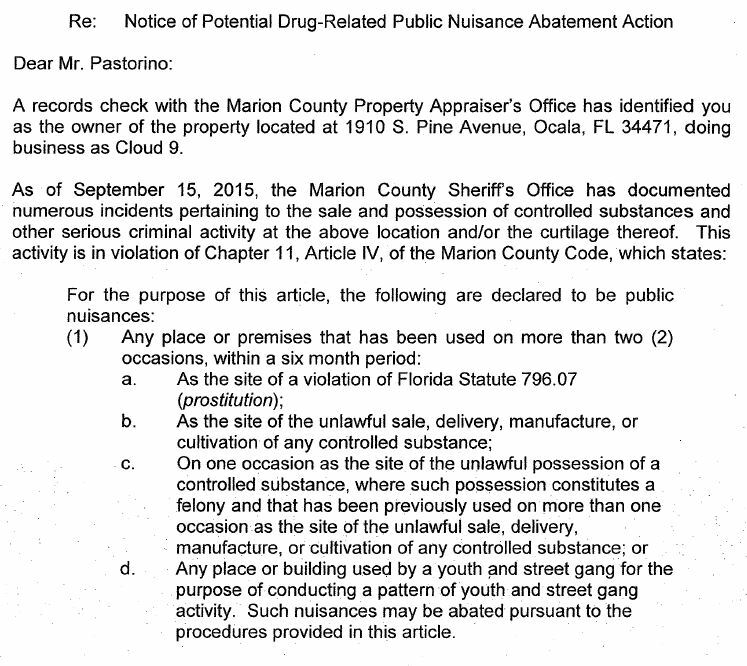 MCSO sent a certified letter of Notice of a Potential Drug-Related Public Nuisance Abatement Action to nightclub owner, Anthony T. Pastorino. The letter comes five days after six people were shot outside the nightclub. The shooting occurred following an argument that took place inside, but spilled out into the parking lot. Benetria Robinson, 19, a Forest High School graduate, was shot in the head. She died in the parking lot. At this time, detectives do not have any leads in the case. Detectives are seeking any pictures or video footage that might have been taken while at the nightclub on Saturday night/Sunday morning. MCSO believes that fear is preventing witnesses from coming forward, so, they have set up a safe way for individuals to provide this information. If you have photos or video, you can upload them at www.dropitto.me/marionso to upload the files. In order to be eligible for a reward you must contact Crime Stoppers at 352-368-STOP after uploading your file, and provide the date and time of your upload as well as the name of your file. 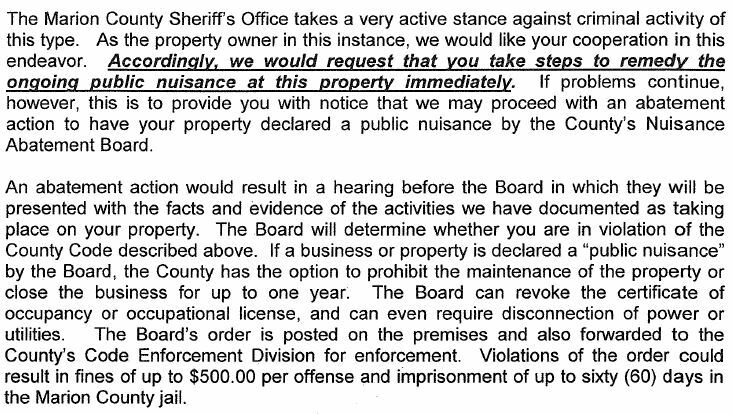 If Pastorino does not comply with the letter, then MCSO would notify the Board of County Commissioners and petition them to have the nightclub shut down. The September 12 shooting is not the first shooting to occur at Cloud 9. If you have any information about this case, please call the Marion County Sheriff’s Office at 352-732-9111, Crime Stoppers at 352-368-STOP, text a tip to 274637 using keyword 368-STOP, or visit www.ocalacrimestoppers.com. Anonymity is guaranteed.